Chessington, UK and Munich, Germany. June 22, 2015. Fujikura – the worldwide leader of fusion splicer technology – is exhibiting its latest splicing technology at LASER World of PHOTONICS until June 25. This includes a new line of high precision cleavers – the most advanced of their kind on the market. “The launch of our new CT line of high-precision LDF cleavers has extended Fujikura’s solutions in LDF fibre splicing and glass processing preparation,” said Neil Bessant, Fusion Splicer Divisional Manager at Fujikura Europe. This complimentary equipment to the existing Fujikura ARCMaster™ fusion splicers and LAZERMaster™ CO2 laser splicer supports customers even further than before in their fibre operation. Fujikura is also showcasing its new FSR Series line of optical fibre recoaters, which provide advanced recoating solutions for applications in fibre laser, fibre sensing, submarine and optical components. “Each fibre recoater is engineered to very specific processes, providing flexibility to determine which features are needed. All of our fibre recoaters feature easy, automatic operation as well as easy mould and recoat material exchange,” said Bessant. Like the CT line of cleavers, the FSR Series enhances Fujikura’s pioneering ARCMaster™ product line – which includes the laser splicing system, specialty fusion splicers, cleavers, strippers and other accessories – all of which will be on display at LASER World of PHOTONICS. Members of the Fujikura team will be at Booth 218, Hall A3 to demonstrate the range of products and answer any questions. Full details on the products can be found below. 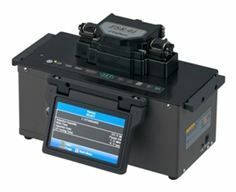 Full details of the new products on show can be found here: http://www.realwire.com/releases/Fujikura-to-showcase-new-products-at-LASER-World-of-PHOTONICS-2015. For more information on Fujikura, please visit www.fujikura.co.uk.